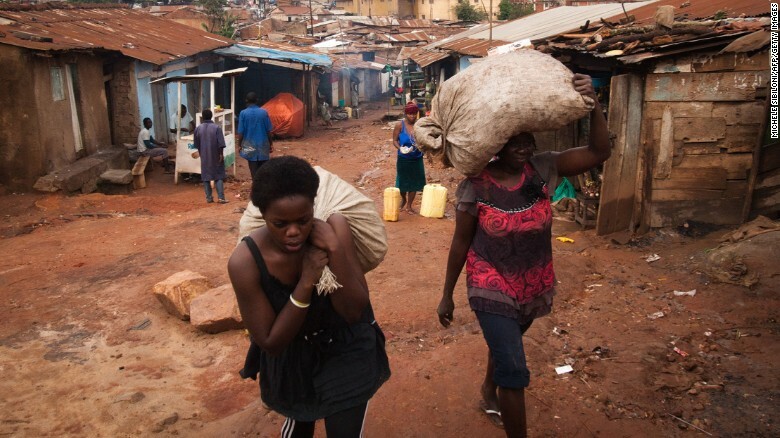 KAMPALA – Four out of five Ugandan households (80%) say their household’s income doesn’t meet daily expenses. These figures are similar to 2017. However, the moment of money that households report needing every day has gone down from UGX1, 100 to UGX 10,300 in the same period. Half of all Ugandan households have a member who has been forced to drop out of the school of financial reason. And two out of ten households 22% have had a member die due to lack of financial resources for medical expenses. One out of ten households (12%) report that the main breadwinner has lost their jobs in the last two years. These findings were released by Twaweza in research brief titled More food, less money: Ugandans’ experience and opinion on poverty and livelihoods. The brief is based on data from Sauti za Wananchi, Africa’s first nationally representative high-frequency mobile phone survey. The findings are based on data collected from 1,905 respondents across Uganda in November 2018. When asked about the most serious problem facing the country and their household, the largest proportion of citizens name poverty. Nationally, the proportion of citizens naming poverty as the most serious issue has doubled from 14% in 2017 to 29% in 2018. Similarly, lack of employment is the third most named problem, named by twice as many people in 2018(12%) as in 2017 (6%). Overall fewer citizens are concerned about public services, like health, education and water, and more are worried about poverty and economic issues. Additionally at household level, half of Ugandans are concerned about the gap between rich and poor. Almost three out of four citizens are unhappy with the country’s economic direction (72%). Many as also unhappy about employment (67%) as well as the state of corruption (70%). There has also been a notable reduction in food stress at the household level in 2018: citizens are less likely to report not eating for a whole day (37% compared to 49% in 2017) and running out of food because of lack of money (69% compared to 53% in 2017). However, when they face an emergency, most Ugandans (51%) still turn to family and friends for help, although the share of people saying they do this has decreased since 2017 (67%). More citizens are now likely to say they will sell something (up to 18% from 11%) or take a loan or overdraft (17%, compared to 8% in 2017). If given a cash injection of UGX 350,000 from the government, on average Ugandans are likely to spend close to half of it (44%) on starting or growing a business, 18% on agriculture and 13 on school fees. Marie Nanyanzi of Sauti za Wananchi at Twaweza, said: “The data in this brief tell the story of economic hardship for an expanding majority of Ugandan citizens. Although they are slightly more satisfied with the country’s economic direction as compared to 2017, many households still do not have enough income to meet their daily expenses. Poverty is their most serious challenge and in some households, it has cost lives.